The August 2012 issue of Consumers Digest contains their experts' "Best Buys" for bicycles, and leading the charge in the road, hybrid, and comfort bike categories are several models that you can get right here in your local Century Cycles store! 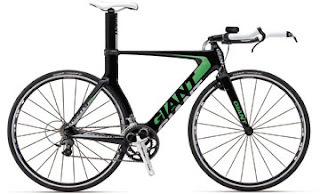 In the road bike category, the Giant Trinity Composite 2 (and its sister the Liv/giant Trinity Composite 2 for Women) earned praise for their full carbon-fiber frames and other wind-cheating innovations, combined with "the best combination of components on a triathlon bike that costs less than $3000." Available by special-order for $2,199.99. 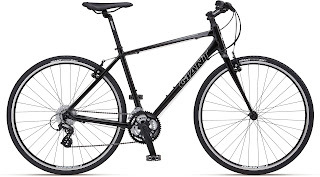 Giant also led the way in the hybrid category with the Giant Escape 2 and the Liv/giant Escape 2 for Women. "The inexpensive Escape 2 has better parts than what you would find on hybrid bikes that cost $100 more. The highlights include a high-quality aluminum frame (most others are steel in this price range), a 24-speed drivetrain (21 speeds are more common) and double-wall aluminum rims that we believe will hold up better over time than do the single-wall hoops that are typical among economy models." Now in stock in all three of our stores, $419.99. Not to be left out, Raleigh made the Best Buy list in the hybrid/comfort category with their Venture 4.0, which features "the best components package of any comfort bike evaluated." Of particular note is the cassette-style rear hub, which is more durable than the freewheel-style hub found on many comfort bikes. We can vouch for the Venture 4.0's durability (as well as that of the Raleigh Women's Venture 4.0), because it's the same model of bike that is used daily by customers of our rental bicycles in Peninsula. 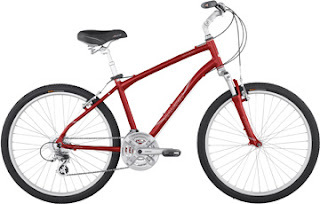 Brand-new models are in stock in all three of our stores; $499.99. 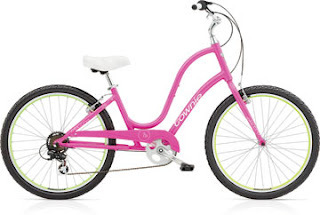 Finally, the Electra Townie Original 7D (available in Men's and Women's models) "delivers the best mix of eye-catching style and features that we could find among comfort bikes...including a chain guard." It's been one of our customers' favorites, too, and it's in stock in all three of our stores; $449.99.